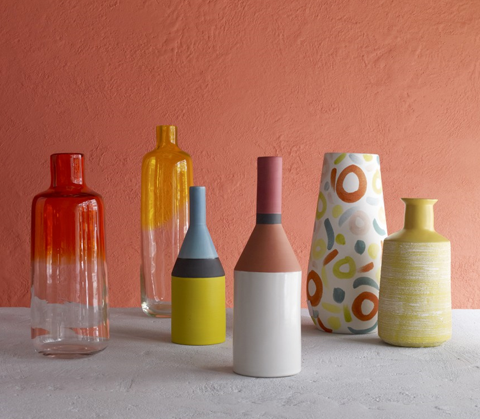 Spring and summer will be serving up a melting pot of trends to satisfy our interior appetites in 2016! Grey and its many shades have dominated our interiors for the last couple of years, but with subtle changes in trends including a desire for warmer metallic tones, it looks like Grey may no longer be holding the number one chart position. Muted blush pink and delicate mint will be the keen trend through SS16. 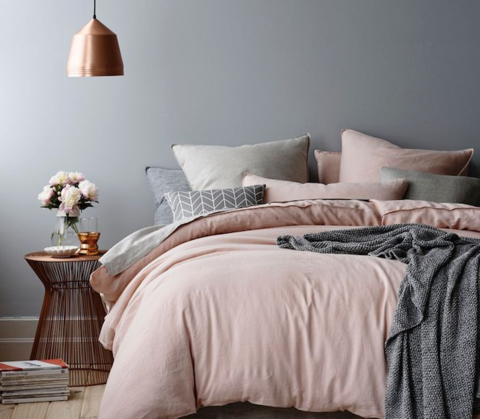 Use on a base palette of warmer hues of taupe or mushroom, with soft metallic accents of rose gold or copper for a light and airy look and introduce floral patterns for extra feminine appeal. This beautiful combination works equally well in detailed traditional interiors, as well as fresh modern schemes. Incorporate opulent textured velvets with contrasting foil overlays for a sophisticated luxurious look, or for a relaxed modern treatment simply mix linens, cottons and plain wool blends. Sounding more like it should be served in a restaurant, I know, but bleached out shades of Pistachio, avocado, mustard and pomegranate are also on the menu this spring. Similar to the washed out tones of a 1970’s Polaroid photograph, this palette is quickly gaining popularity and is perfect for the latest trend in rustic industrial schemes. Finally, if you are looking for something a little bolder we will see a drift towards burnt orange, lapis blue and palm green throughout SS16. 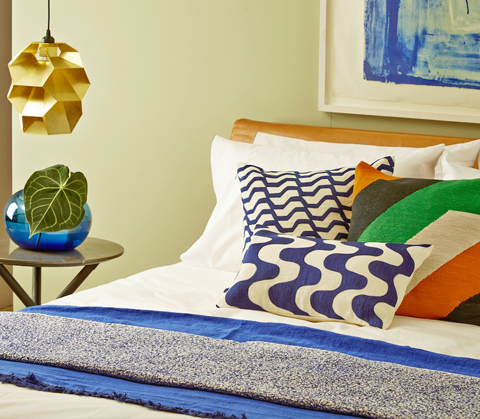 This palette will provide a striking alternative for brighter schemes, using statement blocks of colour and unfussy geometric patterns.